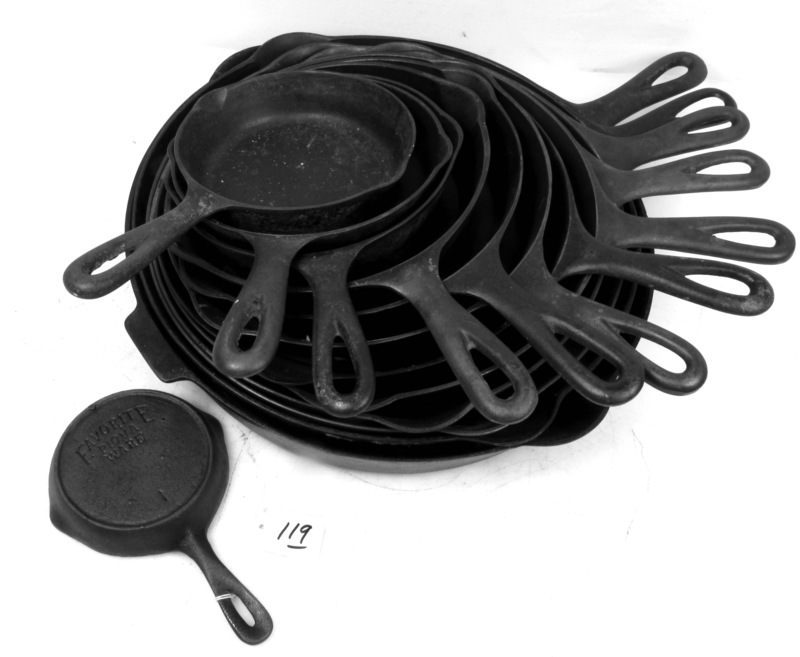 A June auction of more than 900 lots of cast-iron cookware provided a good barometer of the marketplace. According to Rilla Simmons of Simmons & Co. Auctioneers, Richmond, Missouri, the best items sold well, while the lower and middle sections of the market were soft. No surprise there. However, the sale did indicate some trends. * Griswold remains the name most collectors want. What’s it all mean? The right piece of cast-iron cookware is still worth lugging home, but be selective. A tremendous number of common examples have been produced over the years. As a result, most of those pots and pans have little value today, while hard-to-find items continue to bring premium prices.